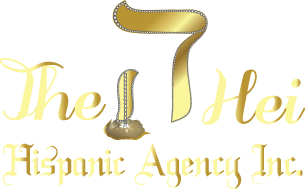 The Hei Hispanic Agency Inc. is committed to protecting your privacy. This statement details the steps we take to protect your personal information when you visit our website. By accessing our website, you are consenting to the information collection and use practices described in this privacy statement. Generally, you can visit and browse our website without entering any kind of personal information. Your personal data is collected directly from you when you register to get our emails/newsletters. The personal information we collect includes: Name and valid email address. We gather automatically standard information about your visit to our web site, which does not identify you personally and is used in an aggregate way to analyze traffic and provide reports on our visitors. This information is basically sent by your browser to every website you visit, such us your IP address, browser type and capabilities, operating system and language, date and time you access the site and the website from which you linked to our site. We do not link this information to your identity in any case. We do not rent, sell or otherwise provide your personal information to any third party for any purpose. We only use your personal information to identify you, to correspond with you, and for statistical purposes. Your personal data entered in your user profile are not displayed anywhere on the website. The Hei Hispanic Agency Inc. is committed to protecting the security of your personal information. Pursuant to the provisions of Law 15/1999, of December 13, Protection of Personal Data, we inform you that the personal information you provide will be processed and incorporated into a file owned by The Hei Hispanic Agency Inc., for the purpose of providing our services as well as managing the business relation with our customers. If you have questions regarding this statement or our handling of your personal information, please contact us at jcjcham@verizon.net. The Hei Hispanic Agency Inc. may occasionally update this privacy statement. When we do, we will revise the “last update” date at the top and bottom of this privacy statement.